Priority Investment Review – Legit or Huge Scam? Looking for a complete unbiased Priority Investment Review? Is Priority Investment Review A Legitimate Company or Scam? 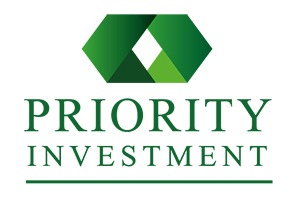 We are here to give you an unbiased opinion about Priority Investment. Please read on for a full review below. No detailed information about who runs or owns the company Priority Investment can be found in their website. The ‘About Company’ section of Priority Investment quotes Delta-Alpha Group Ltd as the company who manages it. The incorporation of Delta-Alpha Ltd with the UK took place on 19th April, 2017. Over 30 companies uses the address used to incorporate the Delta-Alpha Group Ltd. It can only suggest that it is a virtual forwarding address. The sole Director of Delta-Alpha Group Ltd, Arasakumar Jayaraman mentions his residential country as India, further supporting the group (and by substitute Priority Association) exists only in name in the UK. Seemingly, Priority Investment is wholly operated out of India. Jayaraman doesn’t seem to have any previous MLM executive experience apart from incorporating some generic sounding investment companies in the past. If an MLM company does not reveal who owns the company, it is wiser not to join or invest any money in it. There are no retail products or services sold by Priority Investment. The affiliates are made to market only the affiliate membership of Priority Investment. The affiliates of priority Investment invest €250 to €5000 to get an ROI of 7 to 12% monthly. A 10% referral commission is given out on funds invested by Priority Investment affiliates employed personally. The residual commissions are paid by Priority Investment through a unilevel compensation structure. An affiliate is put at the top of a unilevel tam by the unilevel compensation structure. Each personally recruited Priority Investment affiliate is put under them at level 1. If Priority Investment affiliates of level 1 employ fresh affiliates, they are put on level 2 of the original affiliate’s unilevel team. If affiliates of level 2 employ fresh affiliates, they are put on level 3 and so on down an infinite number of levels. The affiliates of Priority Investment get a flat rate commission on investment activity inside their unilevel team. The Bonus Top 10% is seemingly an extra bonus on investment activity across a Priority Investment affiliate’s first 5 unilevel levels. The trick behind the monthly 7% to 12% monthly ROI of Priority Invest is an alleged investment in a solar cell plant of Europe. As claimed by Priority Investment, it gives out the opportunity to investors to become a rentier-co-owner of a quality solar cell part in central Europe. No proof has been provided of this claim by Priority Investment. Priority Investment also claims that the financing of the solar project is approved by the European development bank. No European Development Bank exists apart from a European Bank for Reconstruction and Development. Moreover, even if Priority Investment’s claims are taken at face value, the company states, you can be assured of not losing any money entrusted to the Priority Investment company. Any legitimate investment does not work in this manner. It appears more like a company trying to steal your money. If Jayaraman is able to give out 7% to 12% monthly ROIs through the solar investment project in Priority Investment, he certainly will keep it for himself. Why should one ask for investment from any random public, make huge ongoing liability and divide ROI payments with other investors of Priority Investment? The sole verifiable source of revenue entering the Priority Investment is the investment made by fresh affiliates. The use of affiliate investment to pay off existing investors a monthly ROI makes Priority Investment a ponzi scheme. The referral commission, residual commission, and rank advancement are all connected to the recruitment of the affiliate. It adds an extra pyramid layer to the scheme. Like all ponzi schemes, once the recruitment of affiliates end, the newly invested funds will stop too. The Priority Investment will eventually collapse. The calculations behind a ponzi scheme guarantee most of the investors will predictably lose money.